Wonder if yoga can help facilitate healthy aging and help you retain more of your youthful zest? Yes, says YogaUOnline teacher Dr. Baxter Bell and his partner, Nina Zolotow, co-founders of the YogaforHealthyAging blog. There are many ways that we can slow down the aging process and even make improvements on where we are right now. Baxter and Nina have spent the past years doing research on and developing practices for yoga for healthy aging, and we are proud to announce that they have just signed a book contract on yoga for healthy aging with Shambhala Press! In this online yoga practice series, get a preview of the book. Learn how yoga can improve the four key components of healthy aging: strength, flexibility, agility, and balance. Developing and maintaining balance is key: as our years accrue, our balance gradually worsens. This can lead to falls and, in our later years, fractures. As a result, balance is especially crucial for those with osteoporosis, osteopenia, or lower bone mass. 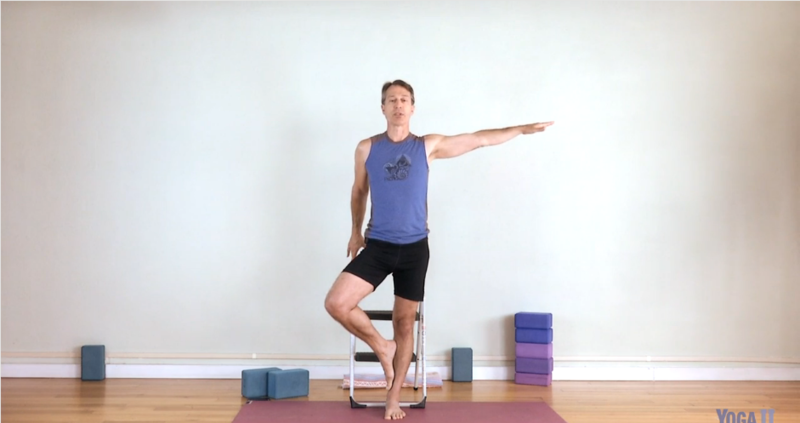 Anyone who already has balance issues will be relieved to discover that yoga has great ways to make poses for balance safe, and Dr. Bell employs these in his balance-focused videos. By developing our balance, we’ll be less likely to trip and fall, and Dr. Bell’s students who have been doing his balance-focused practices report that when they have fallen, they haven’t hurt themselves as much as before. Another vital component in healthy aging is agility, which Dr. Bell characterizes as a quality of nimbleness that allows us to move through time and space with coordination. Whether we’re navigating the crowded aisles of the grocery store (or the busy farmer’s market), or we’re on a walk in our neighborhood, agility helps us handle unexpected changes in our environment with ease and grace. Whatever level of agility you are at, you’ll be happy to hear that Dr. Bell has seen “amazing results with people of all ages in terms of their ability to improve their agility” through his classes. The gradual loss of muscle mass we experience as we age can limit our ability to do activities we enjoy—sports, giving grandchildren piggy-back rides, or even simple tasks like carrying in the groceries. 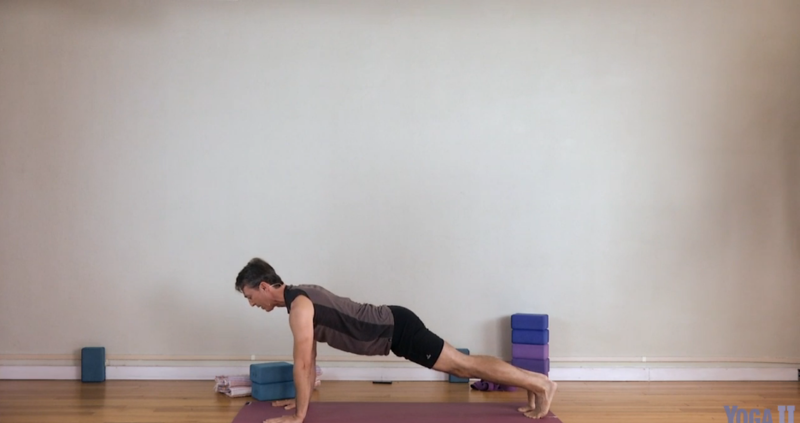 Dr. Baxter Bell offers practices for both upper and lower body strength, which are designed to help tone our muscles and stabilize our joints so that we can keep doing the things we love. Flexibility also declines with our mounting years. We often develop stiffness in our joints and reduced range of motion. This can inhibit our ability to reach things on top shelves, or swiftly get from sitting to standing. Dr. Bell offers both a lower body and upper body flexibility practice so that wherever we are at, we can work to build our degree of movement and bring more freedom into stiff joints. Whatever your age, wherever you are at, beginning a yoga practice for healthy aging will serve you both today and in the long run. There may be no way to stop the clock, but by taking the time to maintain and develop your body, you can age with grace and vitality, and maybe even enjoy a few more extra years.